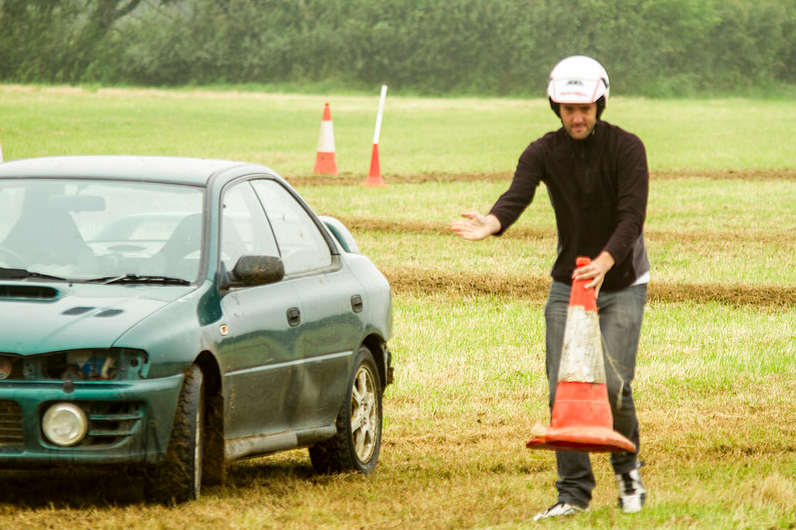 The Isle of wight car club returned to what must be the most popular unsealed surface venue on the calendar – Atherfield. 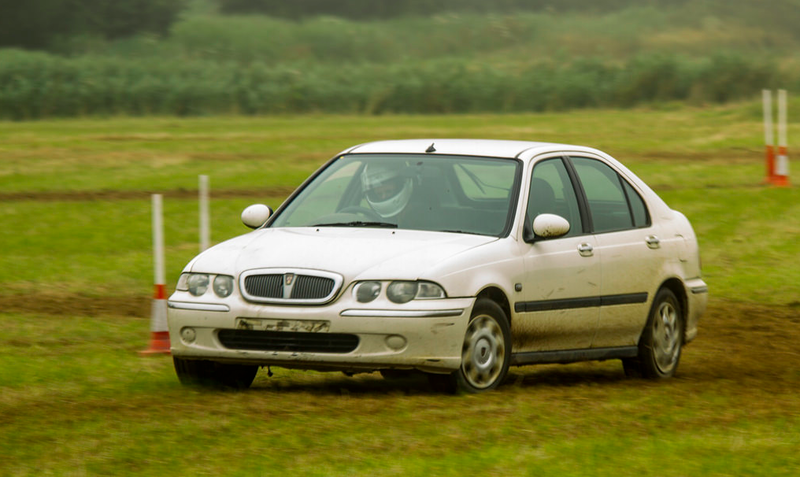 The flat open grass field offers drivers the freedom to explore the limits of their cars and their driving ability with little chance of damaging their machines. The day started wet, and it could have been easy to stay at home in front of the TV with the excuse of watching the Wimbledon tennis final, the British grand prix or even prepare for the Euro football final later that evening, however, 29 drivers chose to brave the rain and take part in some grass roots motor sport. No strawberries and cream, but, as usual with this location the freshly cut grass makes the first few runs a challenge of not only remembering the course but trying to keep the car on the court. The damp conditions found drivers understeering, under braking and spinning out with the slightest touch of throttle. Added to this the course was a little tricky to remember. Many top ranked players were called “out” with a wrong test in round 1. By the mid point of the day, a defined track had been worn into the grass for the drivers to follow, however, just like modern Formula 1, if you strayed from the racing line you would end up on the equivalent of the marbles. In this case, if you touched the lush green grass, you would loose grip and your sector times would diminish. Adam Morgan was the most consistent throwing down purple after purple sectors and steadily decreasing his lap time throughout the day. As always we like to boast that motor sport is neither sexist nor ageist and today we had plenty of our senior members showing the youngsters how it is done and a great turn out of ladies, including new member Kelly Read. In the second half, the four wheel drive Subaru Imprezas and single seater specials had possession and banging some very quick times into the back of the net. However, respect has to go to Steve Brett who finished 8th in his classic mini, Dean Long who finished 9th in his class 2 MX5 and an amazing performance by last event winner Ricky Shepherd, this time in his unmodified class 1 Rover 45, finishing 10th palace over all. 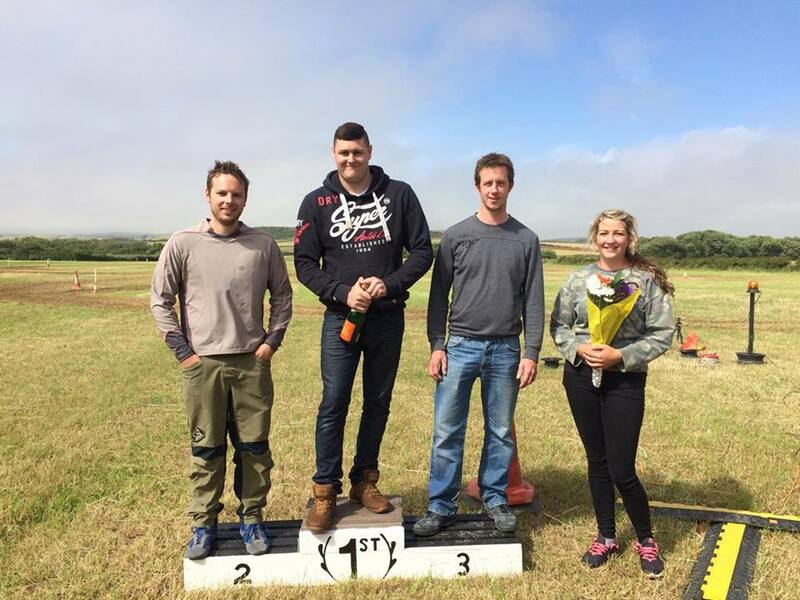 However, in the final penalty shootout the fastest lady of the day was Vicky Cox and Adam Morgan claimed 3rd with Will Thomas missing out on a win by only 0.08 of a second. For the 3rd time this season Chris Wilson sprayed the champagne from the top step of the podium with a deserved win. The moral of the story, don’t sit on the side lines, come and have a go. Membership is only £25 for the year and if you have never had a go at a car club event before, your first event is free. All you need is a valid driving licence and a car that is safe, visit www.iowcc.co.uk for more details. The next event is at Haslett Farm on the 24th of July.